It is important to treat the presenting symptoms of cancer but even more important to treat the underlying cause to ensure the root of the problem can be reached. Combining evidence-based Herbal Medicine, nutritional medicine, dietary modifications, functional pathology testing and orthodox oncology, patients can see a treatment plan with less side effects and a better survical outcome. One important aim of a naturopathic practitioner is to educate, empower and support the patient to assist them obtain optimal health. Through education, the patient will then be able to take a more active role in their health care Naturopathic medicine is based on the belief that the human body has an innate healing ability. Through functional pathology testing and understanding the individual case, a support plan can be tailored for you. Naturopathic doctors (NDs) teach their patients to use diet, exercise, lifestyle changes and cutting edge natural therapies to enhance their bodies’ ability to ward off and combat disease. NDs view the patient as a complex, whole system. Naturopathic physicians craft comprehensive treatment plans that blend the best of modern medical science and traditional natural medical approaches to not only treat disease, but to also restore health. Understandably many men and women diagnosed with cancer feel overwhelmed and a sense of urgency to start treatment immediately. 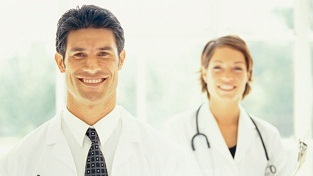 Surgeons, oncologist, doctors and all medical practitioners have different training, qualifications and advice. You deserve the best support and advice which could mean seeking a second opinion. In most cases it is beneficial for patients to step back and take a breath! Usually there is time to do some research to make sure your diagnosis is correct and you understand what is involved in the treatment which is being mapped out for you from your medical team. What are your options? What are the steps for treatment? It is ok to get a second opinion and to modify the plan, because ultimately it is your body. The important thing is though, to be educated and understand the process. py), herbal medicine, homeopathy and iridology. Iridology is often used as a diagnostic aid to compliment the other tools. Physical therapies may also be employed, including therapeutic massage and remedial massage. 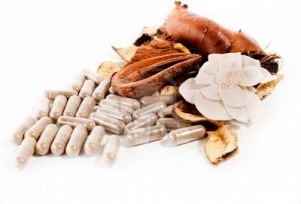 A naturopath should be eclectic, using a mixture of these therapies, or specialise in one or more. The key is to tailor the consultation and treatment to the individual patient. When cancer first develops, a malignant tumour is confined to its original tissue place in the body. When cancer is treated in its early stages, the potential for cure of the cancer can be much better than at a later stage of growth. If malignant tumor cells are not treated, they may spread into surrounding tissue (metastasis) and to other parts of the body. When these cells reach a new site they may continue to grow and form another tumour at that site.